Þorgerður Agla Magnúsdóttir was born in Reykjavík in 1972 and grew up in Önundarfjörður in West Iceland until the age of 17. She has a B.A. degree in Literary Studies from the University of Iceland and a M.A. degree in Cultural Management from Queen Margaret University in Edinburgh, Scotland. Including Iceland, she has lived in Italy, Scotland and Taiwan. Agla used to work at Bókmenntasjóður and also at Miðstöð íslenskra bókmennta (Icelandic Literature Center) from 2008 to 2016 where she worked with grant funding for translations, publications and presentations of Icelandic literature abroad. In the fall of 2016 she established the book publishing company Angústúra with María Rán Guðjónsdóttir. Angustúra focuses on publishing exciting and beautiful books from all over the world in translations of a good quality. Angústúra has published picture books by Benjamin Chaud, the book Fuglar by Hjörleifur Hjartarson og Rán Flygenring, which was nominated for the Icelandic Literary Prize in 2017, translated novels in the series Bækur í áskrift, including Allt sundrast by Chinua Achebe, Einu sinni var í austri by Xiaolu Guo and Sakfelling: Forboðnar sögur frá Norður-Kóreu by Bandi. 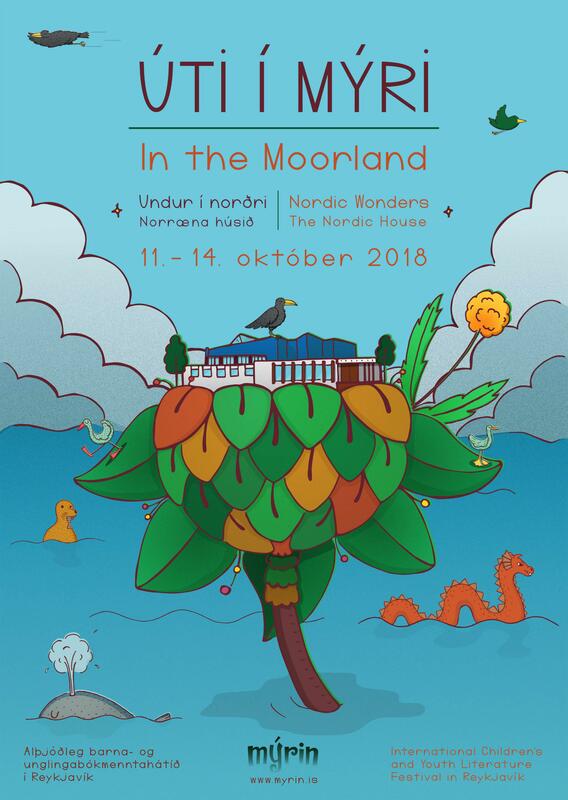 Þorgerður Agla will participate in the seminar ICELANDIC CHILDREN’S BOOK PUBLISHING – TODAY AND TOMORROW – What kind of books are published, translated and read? on Saturday 13 October. This seminar will be held in Icelandic. Rán Flygering – Into the Wind!